FITS SOFTAIL MODELS 1996 - 2008 ONLY. 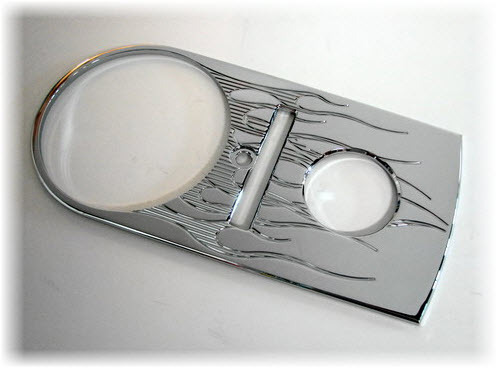 Streamline your Road king, Softail or Dyna with JOKER MACHINE upper and/or lower dash panels. All of our dashes are polished to a high lustre and then given a "High-Chrome" finish through-out! All of our dash assemblies include all necessary mounting hardware, are "bolt-on" in nature and require no modifications.